Love must be sincere. Hate what is evil; cling to what it good. Never be lacking in zeal, but keep your spiritual fervor , serving the Lord. Do not be proud, but be willing to associate with people of low position. Do not be conceited. Do not repay anyone for evil. Be careful to do what is right in the eyes of everybody. If it is possible, as far as it depends on you, live at peace with everyone. Do not take revenge, my friends, but leave room for God’s wrath, for it is written: “It is mine to avenge; I will repay,” says the Lord. Kathi, I’ve never heard of that choir/orchestra before. So beautiful to hear one of my favorites songs in orchestra and choral arrangement. Brian’s picture is spectacular, too. Do you know where it was taken? Julie Anne – I love that choral arrangement too. Why is it usually reserved for Christmas? 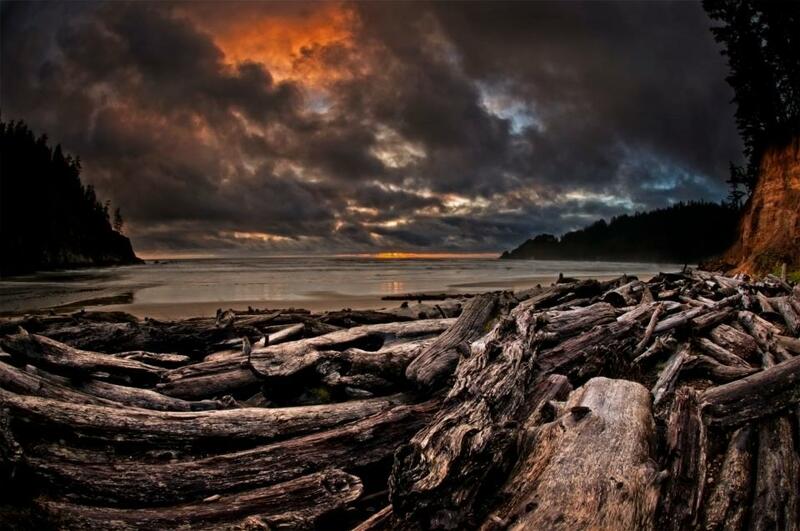 The picture was taken at Oswald West State Park. It’s about 10 miles south of Cannon Beach. It’s a bit of a walk to get to the beach, but it’s one of our favorite spots because it’s a bit more secluded. Beautiful, wonderful service this morning via the internet Body of Christ! Thank-you from my broken heart as it moved me so. Praise be to our LORD Jesus, the Christ, this day. Blessings to all on SSB. Did anyone else see this? The body of Christ in action (via go fund me) raised $ to help Darrell Dow (of Stuff Fundies Like) purchase a working vehicle. Thanks, everyone, for being an important part of community on here. I was telling Julie Anne the other day that I am sometimes overwhelmed by meaningful connections online. Sunday morning worship here is a breath of fresh air from the true Bread of Life in just plain “being one in Christ,” instead of “proving oneself” in the religious mindset of our day. There is respect and love for what A. Amos Love said about the Oneness of the Body in a previous post. What a deep love Christ has for us, His chosen people. Even though I do not comment here much I appreciate all of you and love reading your comments. The body of Christ “knows no bounds”; it has no barriers because the Spirit goes where He wants, not confined to four walls.